Maldives has an “Average” level when it comes to the cost of living for expatriates. This has been based on a comparison of locally collected prices for goods and services that apply to foreign nationals residing in the country. In general, foreign nationals cannot purchase a land or property in the Maldives. But in order to encourage more foreign investment, the government of Maldives has allowed expatriates lease rights for a maximum of 99 years for a real estate. In case the property will be used for tourism purposes, the maximum lease period is 50 years, which can be renewed once the lease contract has expired. Since the government’s inception of this legislation which allows foreign nationals to lease real estate in the Maldives, several foreign investors have already started projects which are mostly related to the construction of resorts in the country. More often than not, it is better if the employer of a foreign national provides the accommodation in Maldives, since rental prices in the capital city of Male are quite expensive. However, those who have to search for a rental apartment on their own can find listings in the daily Maldives newspaper, Haaveru. It is recommended to shop around first as the quality of rental accommodations highly vary. Aside from Male, accommodations in “suburb” islands like Hulhumale and Villingili are said to offer bigger and less expensive spaces for rent. Going to Male from these islands only take five minutes via the regular ferry. The price for a one-bedroom apartment in the Maldives city centre ranges from US$520 to US$975 a month, and a three-bedroom apartment costs from US$1, 300 to US$1, 625 a month. Meanwhile, a one-bedroom apartment outside the city centre costs about US$292 to US$780 a month and a three-bedroom apartment range from US$975 to US$1, 430 monthly. Basic utilities in Maldives like water, heating, garbage and electricity range from US$130 to US$162 a month. Local calls using prepaid mobile phones start at US$0. 04 to US$0. 05 per minute. Subscription to cable television in Maldives costs about 500 MVR for installation fees, while cable/ADSL internet connections with unlimited data and speed of 6Mbps range from US$51 to US$100 a month. Dining out at an inexpensive restaurant in Maldives will cost about US$2 to US$4 a meal, while a three-course meal for two persons at a mid-range restaurant costs approximately US$13 to US$39. A combo meal at fast food chains such as McDonald’s will cost about US$8. A 1.5 litre of bottled water costs about US$0.66, one litre of regular milk costs US$1.71, one kilogram of local cheese costs about US$11, a dozen eggs cost around US$2.34, a loaf of fresh white bread costs about US$1.39, and one kilogram of white rice costs about US$1.75. Any form of alcoholic beverage in Maldives is strictly prohibited in any of the inhabited islands of the country. The price of gasoline in Maldives ranges from US$1.10 to US$1.17 a litre. One-way ticket using a local transport in the country costs about US$0.65, while a regular monthly pass cost US$30. Taxi fares start at US$1.30, with an additional of US$1.62 per kilometre ride. 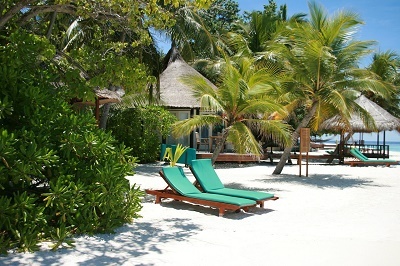 More than 90% of the government tax revenue in Maldives comes from tourism-related taxes and import duties. Import duty is charged at a progressive scale, from 5% up to 200%. Tourist tax, on the other hand, is imposed at a flat rate for each night a tourist spends in the country. Maldives does not impose income tax, property tax, capital gains tax, and sales tax. The only levied direct tax in Maldives is the bank profit tax, which is charged at 25% on the taxable income.